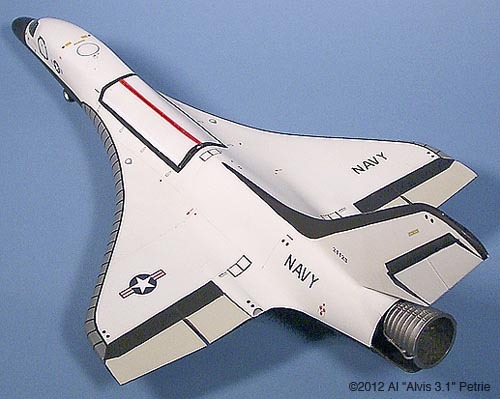 Designed as an alternate shuttle system to the NASA/USAF STS, the US Navy "White Swan C-13S" was built by Rockwell International at the behest of the Carter Administration as a covert program against the Soviet Union. 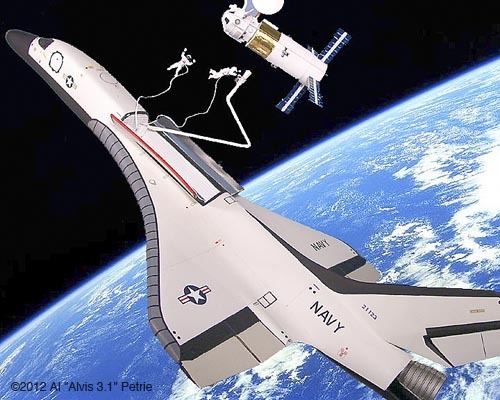 Primarily designed to launch RORSAT recon satellites, the C-13S was also used to deploy USN Space Platform components, and ironically, the first operational Orbital ABMs, known as "Ronnie's Rayguns". 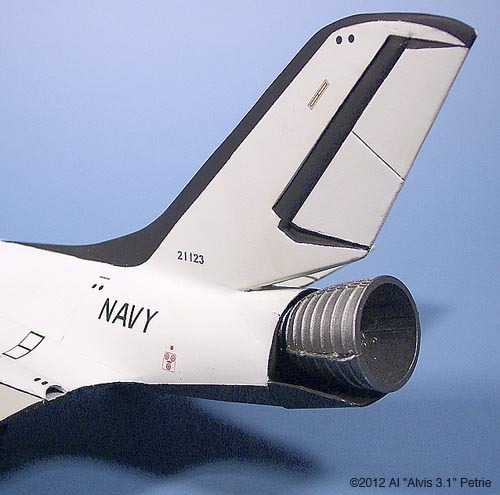 After the loss of the Challenger in 1986, the C-13S fleet became even more vital to the space defence of the USA. A total of four were constructed. 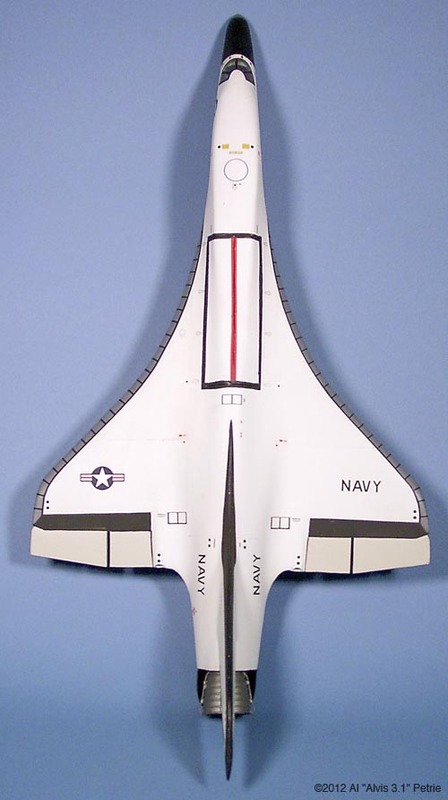 Nicknamed "White Swan" by the design team and the early crews, it was never officially adopted by the USN. 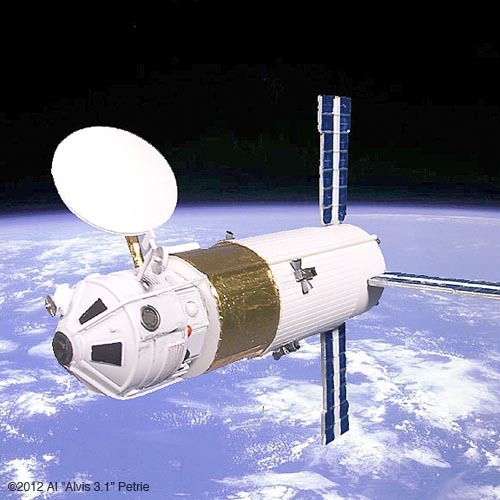 It was apparently in compliment of its' graceful lines and a dig at the "Ugly Duckling" Shuttle. 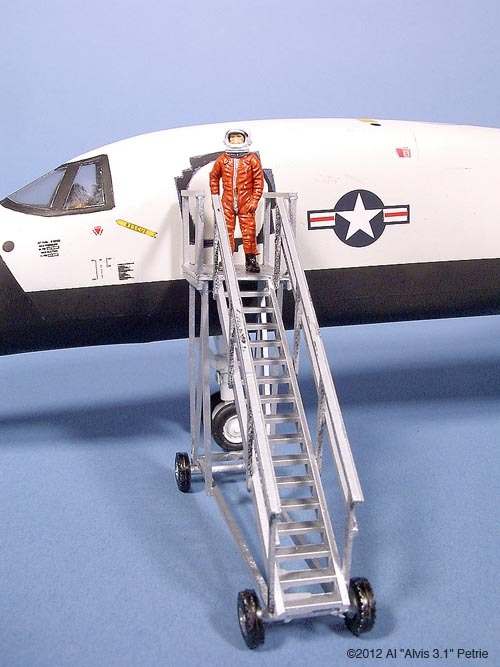 Flying out of Johnston Atoll, launches were highly secret, and landings often took place at night at Edwards AFB. Using a 747 carrier aircraft for return to Johnston Atoll sometimes required airlines to be diverted, lest some snap happy tourist get lucky. On three separate occasions, the Single Shot ABMs likely prevented WWII from breaking out. Twice, rouge nations fired what were most likely nuclear weapons at "friendly" targets, and in both cases, the Ronnies' Rayguns turned them into scrap. The third occasion appears to be where a routine training mission on an SSBN went awry, and an SLBM was accidentally launched. While the actual nationality of the boat has been kept secret, a look at who had SSBNs at sea in April 1992 will make it easy to guess whose it was. The Red Phone was likely busy that day! Entering service in 1983, the C-13S is scheduled for retirement by 2015. It is unknown what will be replacing it. 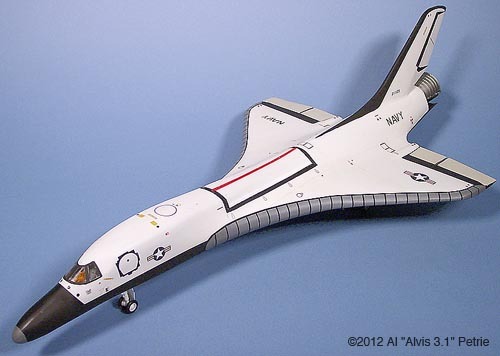 This page made possible by Starship Modeler - copyright © 2012.